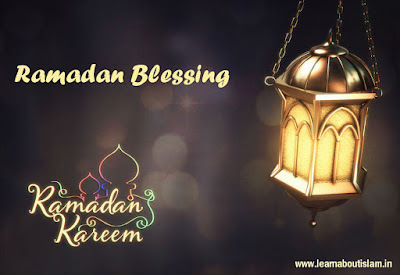 We the Muslims all across the globe are very lucky that, This Year also We Insha Allah, will be receiving the Holy and Blessed Month of Ramadan. To make it clear let me ask you one question. How do you treat when any guest or close friend or relative visits you or your place. Don't you take all efforts to make them happy and satisfied and wish that the same good things are said about you. The How will you treat the Blessed Month of Ramadan when it is sent to you. How will you make the efforts to keep it happy? Are you prepared for it? Ramadan is a special Month of Ramadan. All Months are of Allah, All days are of Allah, All Nights are of Allah. But are they all equal and same. All days are not same. So i got a question to ask to those who say or Compare Our beloved Prophet Muhammad Salalaahu Alaihiwa Salam as same as other humans. We are all Bashar but our Prophet is Umul Bashar. Does water come in your area. In few area it may come from Tap. In some it may come from Bore well. But can it be compared with Zam Zam. No you cannot. As Zamzam water is blessed water and its very special. It cannot be compared to the common Water. In the same way Ramadan is also a month like other months, But its a very pious Month and must be treated with due Respect. Why is Ramadan so Special? Remember, Quran is a exceptional Book on this Earth. its Allah's Book. Our Beloved Prophet Muhammad Salalaahu Alaihiwa Salam Said in Month of Shabaan that Ramadan is coming. In this Month One Nafil done is equal to one farz and One farz is equal to 70 Farz.